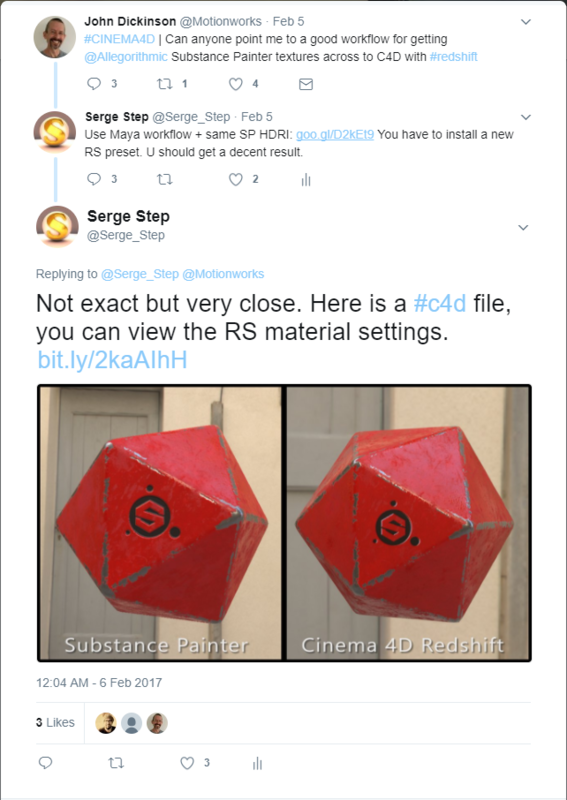 Would anyone be willing to provide a very basic tutorial on the correct way to connect Substance outputs to the RS Material inputs in the Shader Graph in Cinema 4D? Dragging a Substance from the Cinema 4D Substance Asset Manager to the Shader Graph populates the required Substance outputs, but does not connect them (although as noted on the Redshift forums, this is planned for a future update). I’ve scoured these forums, and the Redshift forums, and taken some (I hope!) intelligent guesses at the correct connections, but have not yet managed to get a Substance hooked up correctly in Redshift. An image example of a Substance Source .sbsar as dragged to the Shader Graph is attached.